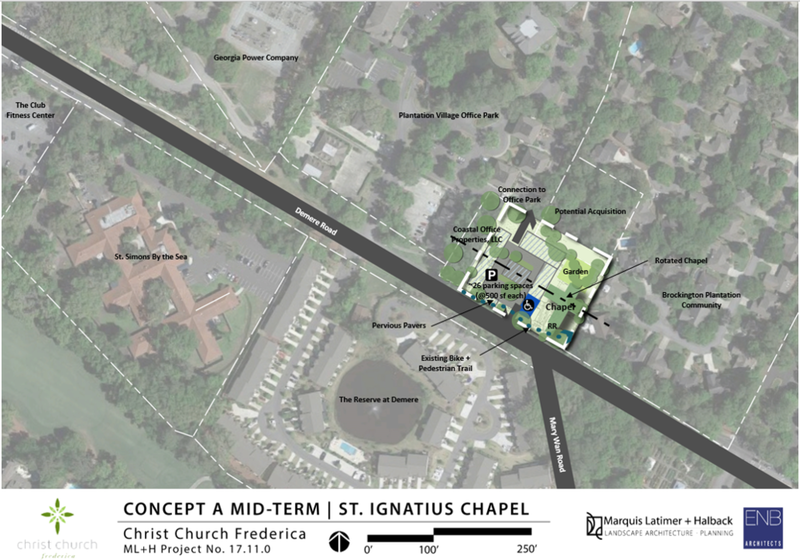 The St. Ignatius Chapel master plan concept focuses on the current property and how reorganizing the chapel and parking can produce a better user experience. Located on the busy Demere Road, the concept proposes rotating the current chapel along with a small restroom addition along the roadside wing of the chapel. Through reorienting the chapel, the parking lot is aligned with the narthex of the church and pervious paver parking is added along the outer edges.